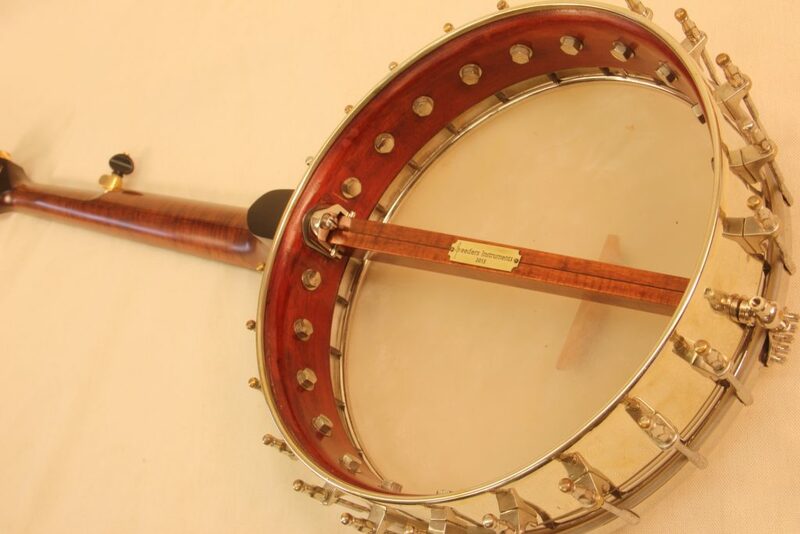 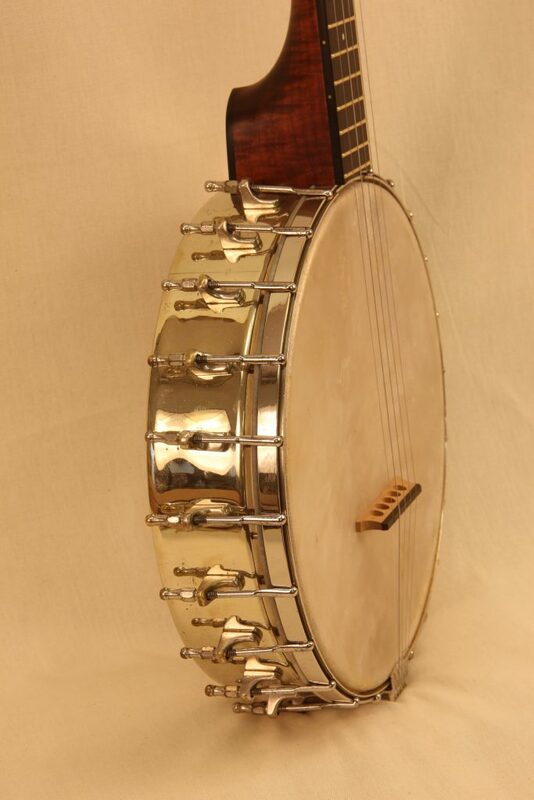 This banjo started it’s life as a Washburn Banjolin. 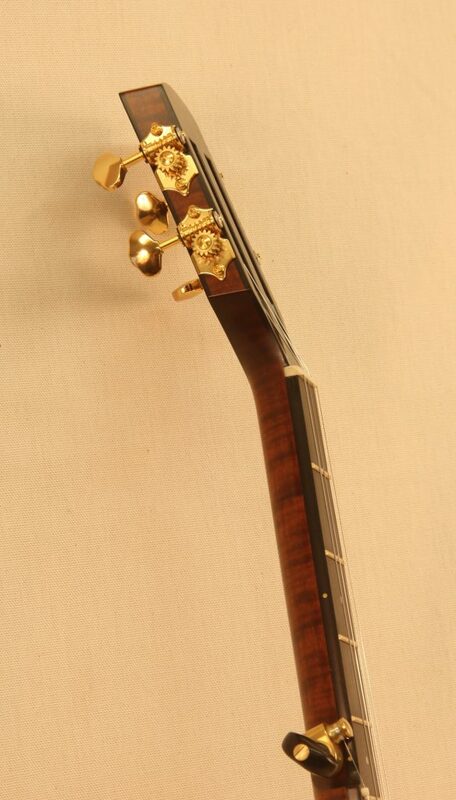 It had a broken and badly repaired neck that wasn’t worth saving so I built this neck to go on the rim. 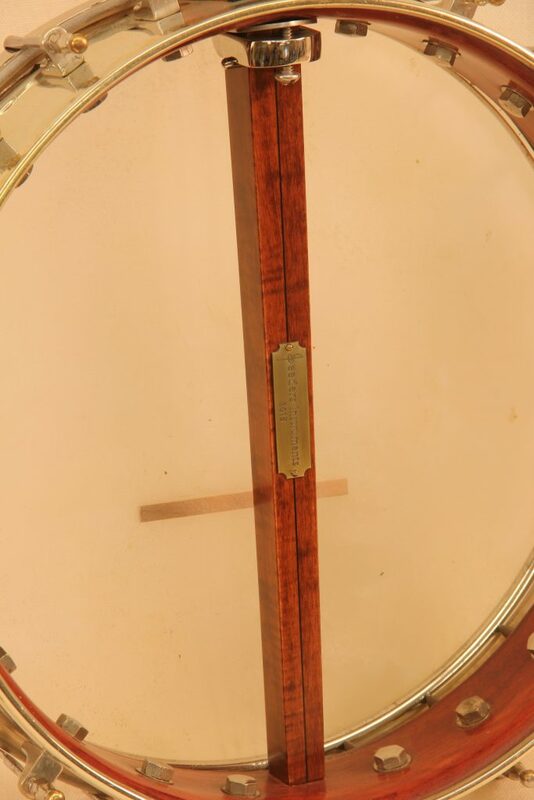 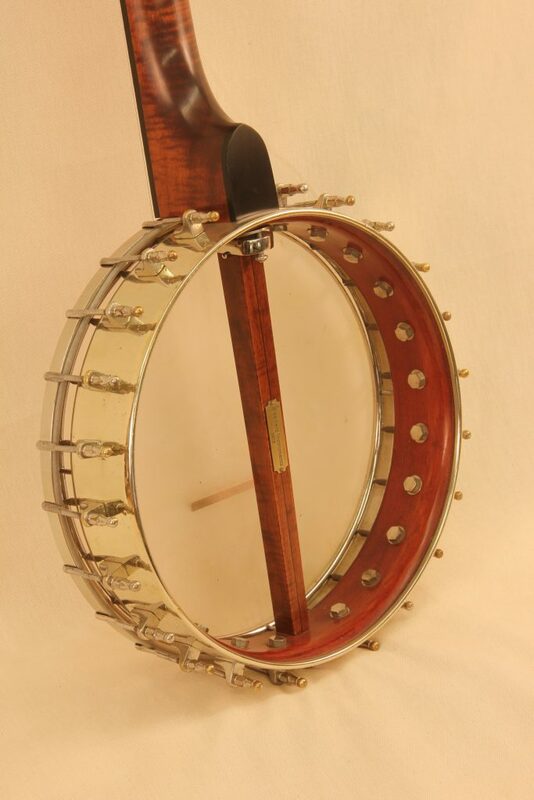 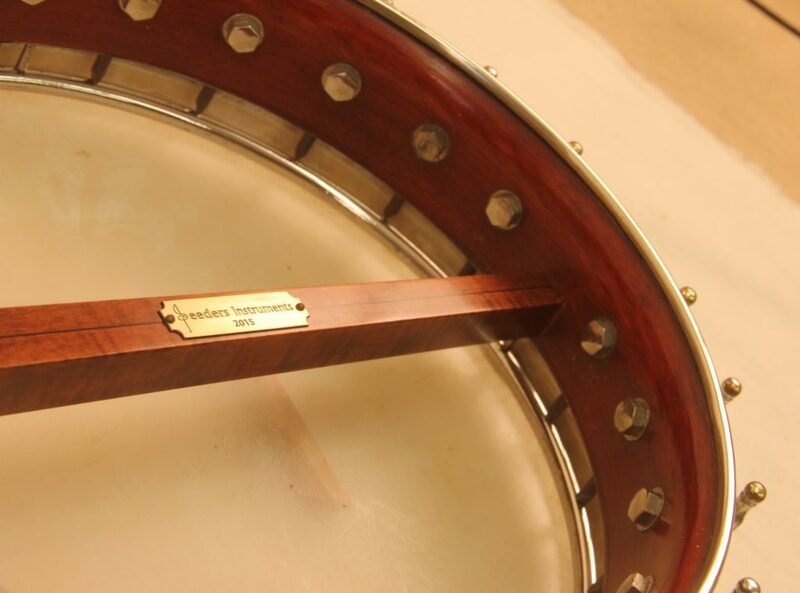 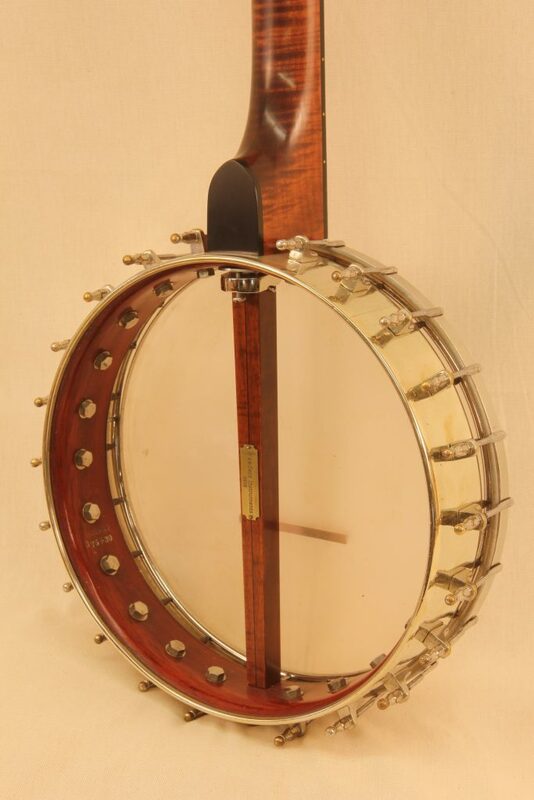 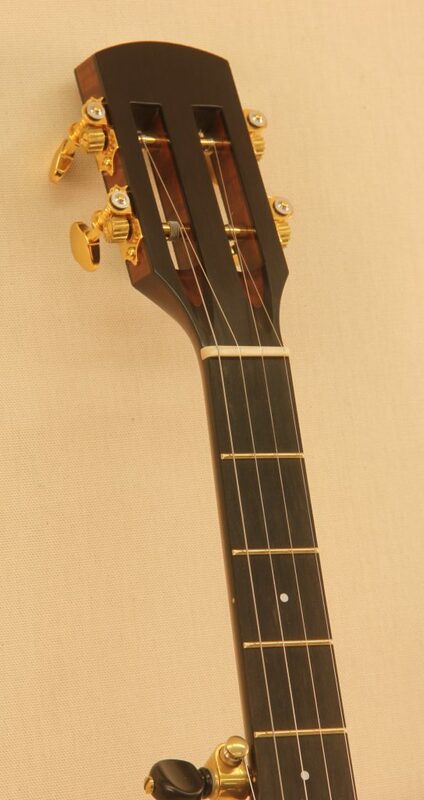 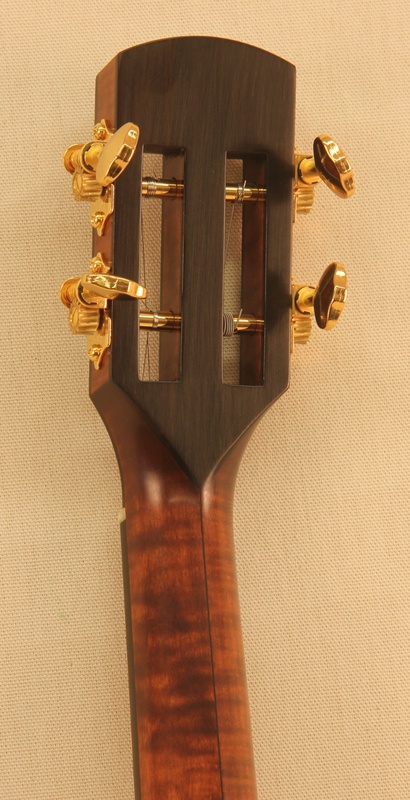 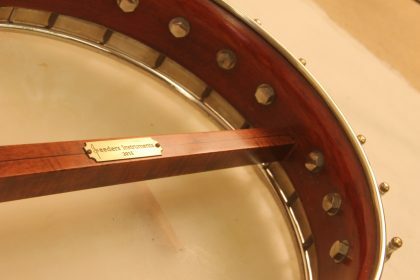 It has a very unique design that Washburn used for a few years with many tenor banjos and banjolins. 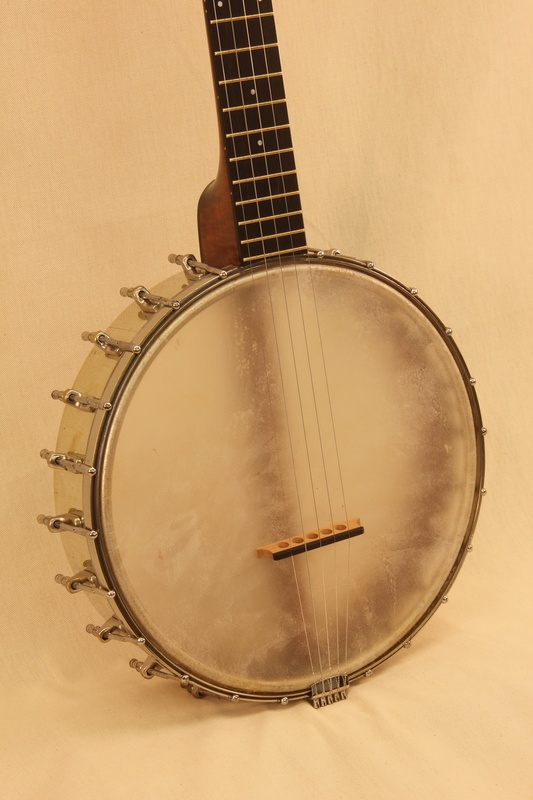 It has a pleasant but unique sound as you could expect from the odd construction of the tone ring and is fun to play.